FUJAIRAH, 9th November, 2018 (WAM) -- H.H. 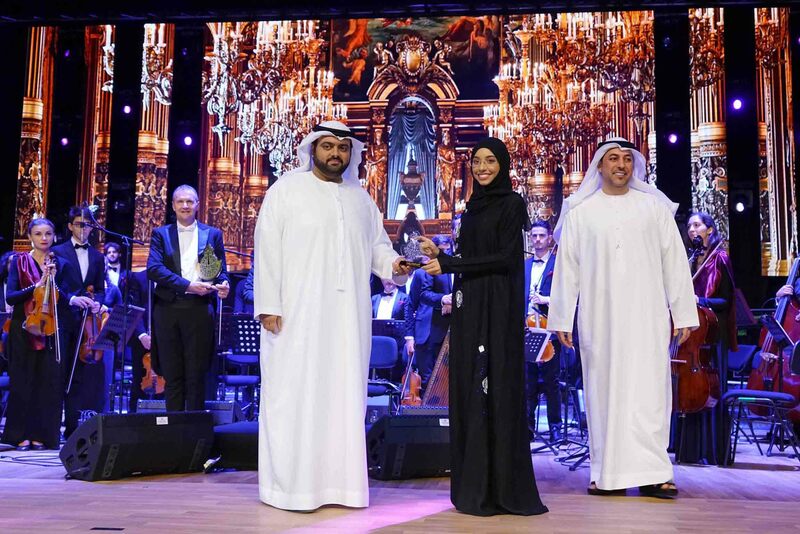 Sheikh Mohammed bin Hamad bin Mohammed Al Sharqi, Crown Prince of Fujairah, attended a concert organised by Fujairah Fine Arts Academy at the building of the Ministry of Culture and Knowledge Development. Sheikh Mohammed Al Sharqi also opened an art exhibition which displayed works by the academy's students. The Orchestra Cherubini led by conductor, Paolo Ciadri, played a selected repertoire. Salem Al Zahmi, Director of the Crown Prince's Office, Ali Obaid Al Hefaiti, Director-General of the Academy, a number of heads of local government departments, and a large audience attended the event. 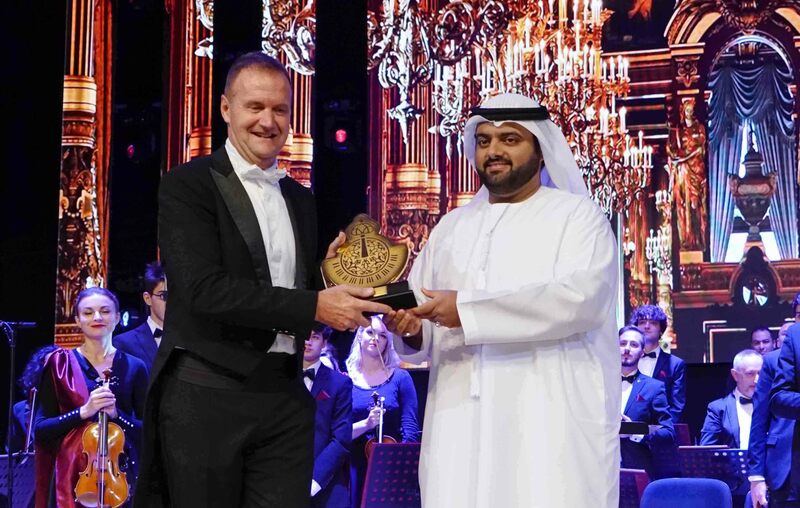 The Fujairah Fine Arts Academy was established in 2017 to nurture and develop talents academically, provide training on musical instruments, photography and calligraphy, drawing and pottery, and teach ballet to all age groups. It strives to create a culturally educated generation by providing them with all the theoretical, practical and educational services in this field.